Filters DC Special can be used alone or imported into Filters Unlimited. and your background color to #f3efd4. 2. Open a new transparent image 900 x 600 pixels. Flood Fill the transparent image with your foreground color #982d11. 3. 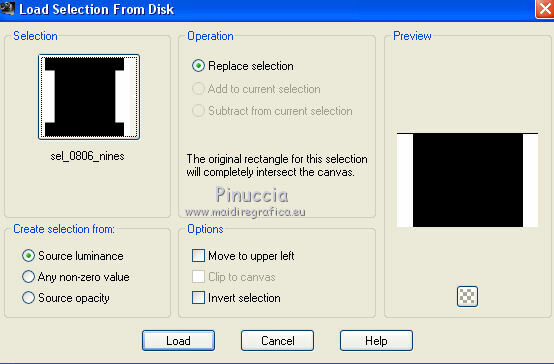 Sélections>Load/Save Selections>Load Selection from disk. 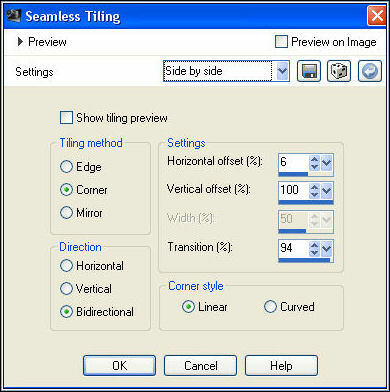 Look for and load the selection sel_0806_nines. 4. Effects>Plugins>Tramages - Tow the line. Flood Fill with your background color #f3efb4. 7. 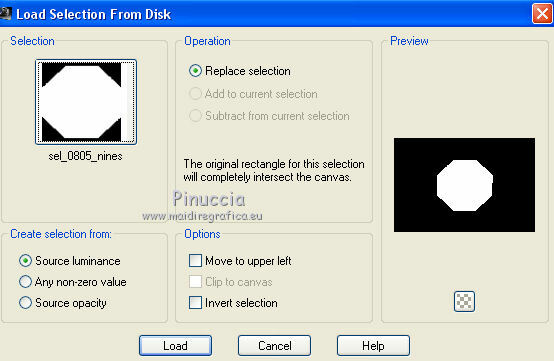 Sélections>Load/Save Selections>Load Selection from disk. Look for and load the selection sel_0805_nines. 8. Open the tube K@rine_dreams_Misted_Woman_3170 - Edit>Copy. 11. 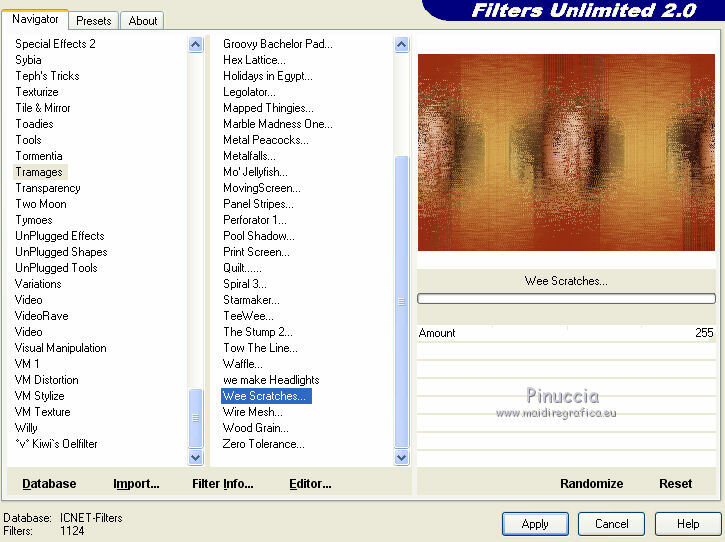 Effects>Plugins>Filters Unlimited 2.0 - Tramages - Wee Scratches. 12. Image>Canvas Size - 1000 x 750. 13. Effects>Plugins>Mura's Meister - Perspective Tiling. 14. 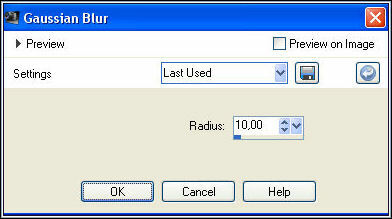 Adjust>Blur>Gaussian blur - radius 10. 17, Effects>Plugins>AAA Frames - Foto Frame. 18. 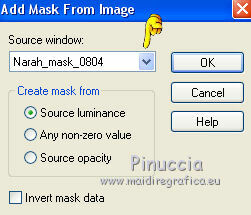 Again Effects>Plugins>AAA Frames - Foto Frame, width 30. 19. 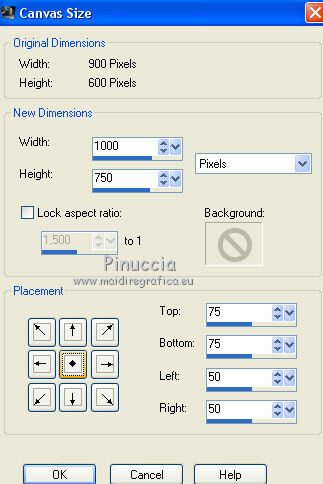 One more time Effects>Plugins>AAA Frames - Foto Frame, width 15. 20. Open the tube calguisplaingbubble01102014 - Edit>Copy. Activate the Gomme Tool and eraser the bubbles. 22. Open the tube Dani@1784 - Edit>Copy. 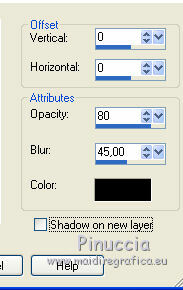 Image>Resize, 1 time to 80% and 1 time to 90%, resize all layers not cheched. 23. Effects>3D Effects>Drop Shadow, same settings. 26. Image>Add borders, 2 pixels, symmetric, color white.